Though they had many friends and interests in common, Shelley, a financial advisor, and William, a JetBlue pilot, didn’t meet until their first date, when they realized how often their paths had crossed. Exactly one year later, William proposed on the beach at Shelley’s family’s river home in Gloucester, Virginia. 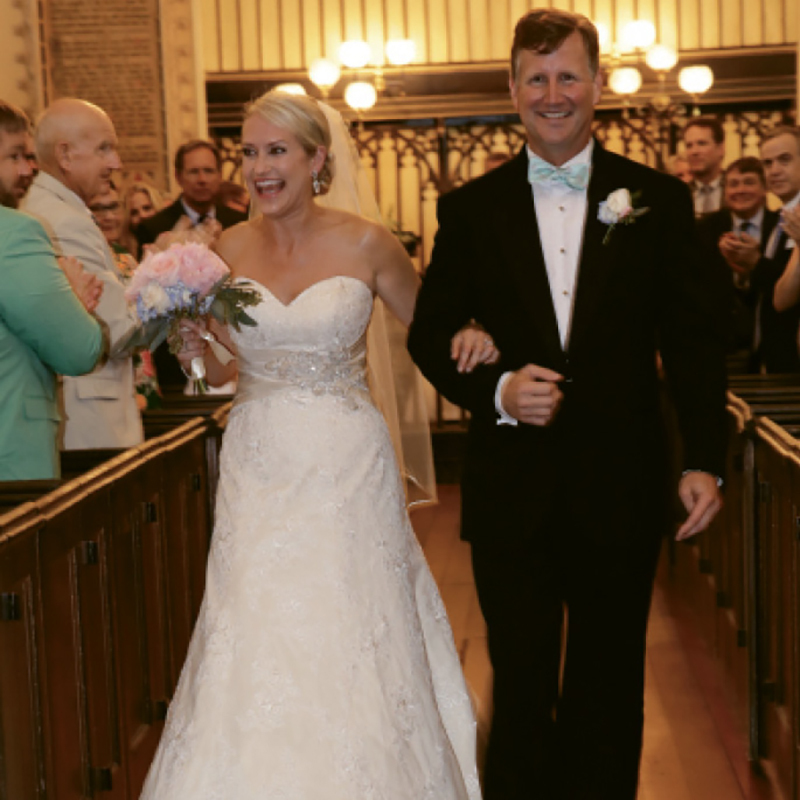 The two were married at the French Hugenot Church by the bride’s mother’s fiancé, Reverend Phil Bryant, before a reception at 44 Queen and an after party at the Dewberry Hotel. They now reside in Mount Pleasant.